Monday was our Retailer Day, when we invite local (and not-so-local) retailers to come see what's new, what's hot, and what's coming up. We feed them lunch, play games with them, and generally have a good time. 2018 is the fourth year we have held a Retailer Day. This year, we had about 35 attending, representing more than 20 stores. 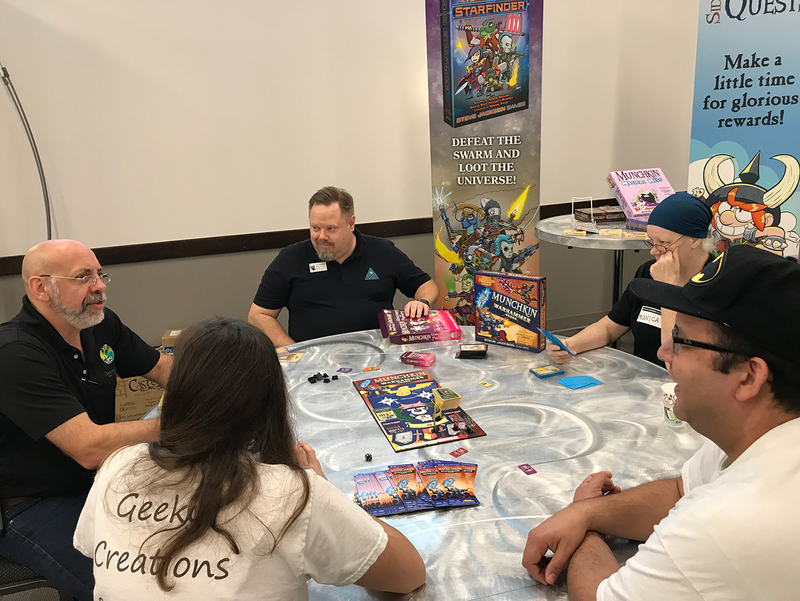 Lots from Texas, and several from adjoining states – the longest trip was by the folks from Castle Perilous in Illinois. 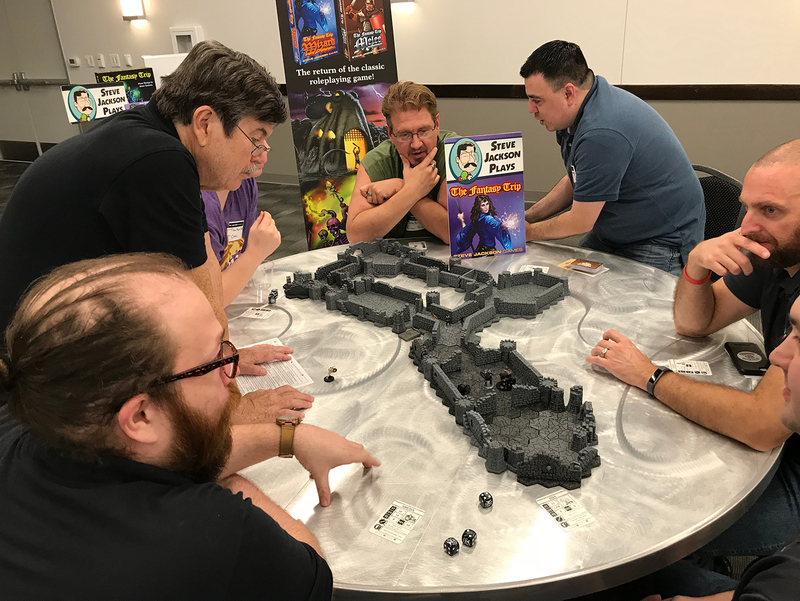 I did a couple of demonstrations of The Fantasy Trip, using the 3D terrain that Phil and Eric built. 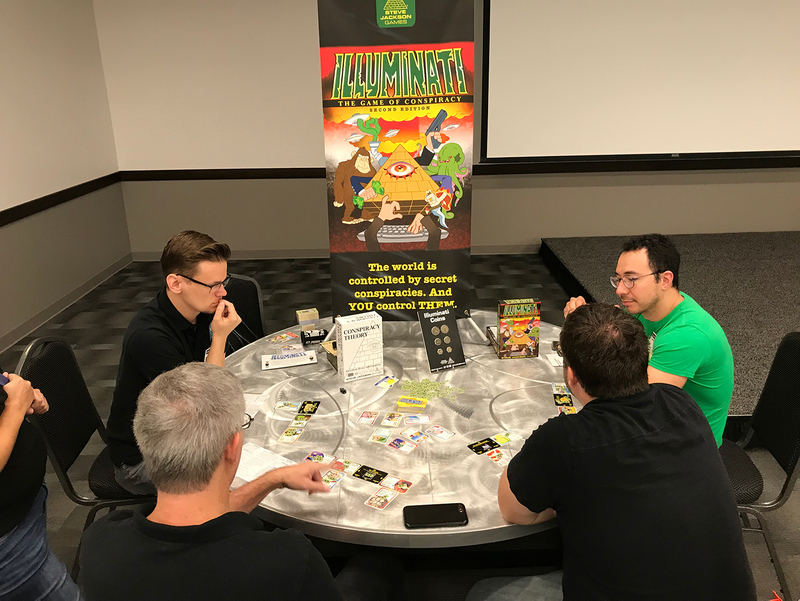 Andrew had four mini-seminars about the present and future of Munchkin, and Jimmie ran four games of the Munchkin CCG. Randy did three demos of the current draft of Car Wars (now with crunchy pedestrians)! And we did a lot of pick-up games of Blob Lobber, Simon's Cat, and a couple of things that are still semi-secret. But if you were there, you saw! 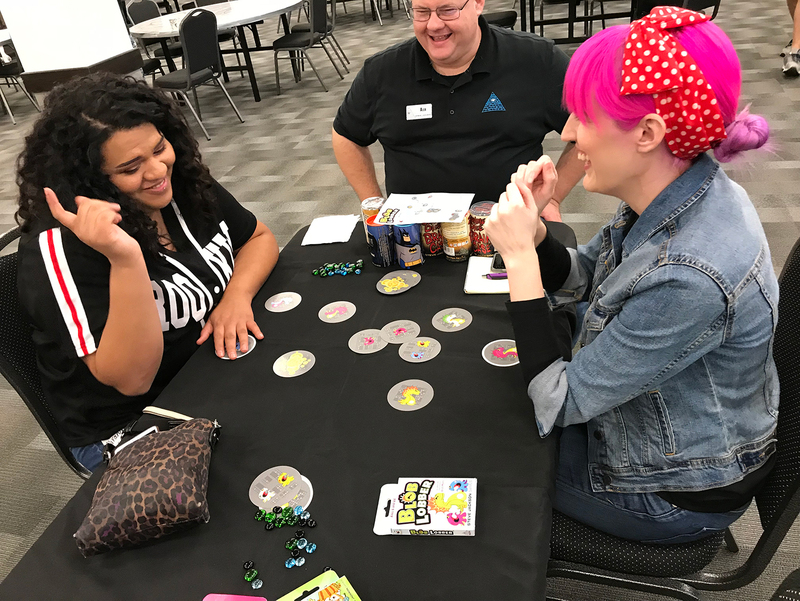 Each retailer got a goodie box worth over $350 retail, and we had several raffles – the big winner was Space Cadet, in the Woodlands. They took home a signed Munchkin Sketch edition with an original cover by John Kovalic! Why am I telling you this? Because – I can't say this too often – we support our retailers. If you're a gamer, we want you to give your business to your friendly local retailer whenever you can . . . and that means we want them to know what you might be asking for. And if you're a retailer, think about coming to see us next year. Lots of swag, lots of gaming, lots of inside info. Good business for you, and a good time.